Participants learn about the types of medical emergencies that children face, and how they differ from adult conditions. The curriculum also includes the importance of attending to basic emergency situations with children, the emotional aspects of caring for children, secondary care for children, and preventing common injuries and illnesses in children. 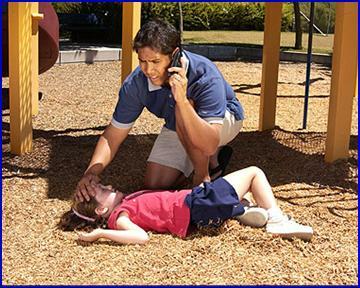 Emergency First Response Care for Children course trains the lay rescuer to follow the same priorities of care used by medical professionals. The student masters the priorities and the procedures of patient care for infants and children in a non-stressful learning environment, which reduces the performance anxieties that interfere with learning and enhances confidence when rendering aid in a real medical emergency. • Serious Bleeding Shock Management Spinal Injury Management. • Injury assessment, bandaging and Illness assessment. With five in-house EFR Instructors we can run this course at a time to suit you! We offer group discounts on group bookings for family and friends or businesses, clubs and schools.